We have pooled our resources for you. Having a school swimming pool is both a great resource and a big responsibility. In this site we aim to quickly deal with issues covering the most cost effective coating maintenance of the pool and its environs. Those issues relating to safety and hygiene we would refer to other more appropriate organisations. A swimming pool is a major asset and as such requires careful and thoughtful analysis. This is to ensure maximum performance and value for the pool coating. The ideal answer is to have the longest life with the minimum downtime and need for recoating. 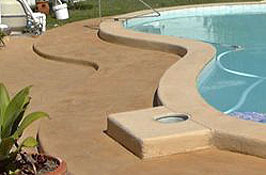 There are 3 types of paint systems in us for swimming pools. Chlorinated Rubbers, Vinyls, Polyurethanes, – acceptable performance. Epoxies: (two pack), – excellent performance. Chlorinated Rubbers, Vinyls & Polyurethanes are readily available and generally used on smaller pools, farm troughs and storage tanks. Epoxy, (two pack), has the best performance, least problems and best value. When you select a Chlorinated Rubber you will use a solvent based, one pack paint. 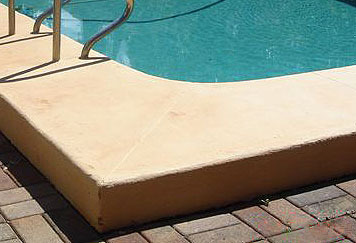 The material has been used extensively in swimming pools. It offers good chemical resistant and reasonable performance. It will last on average 2 – 3 years. 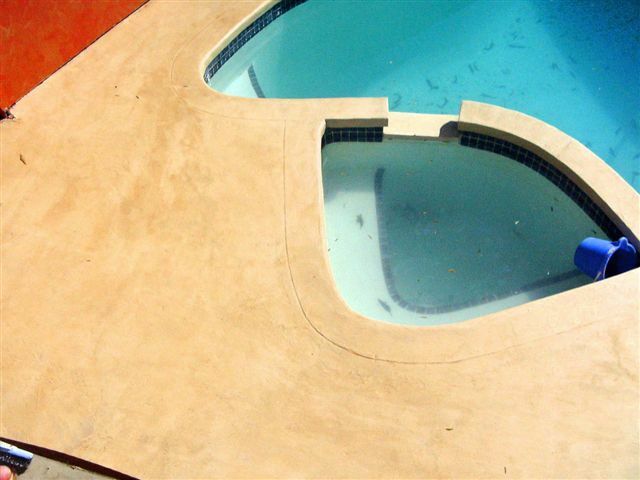 When you select a 2 pack epoxy for your pool, you will get: a high molecular weight, cross linked, chemically resistant, 3 dimensional structure. This means its: tough, bonds well and is durable. It will last 7 – 10 years plus. Correct surface preparation, before application. 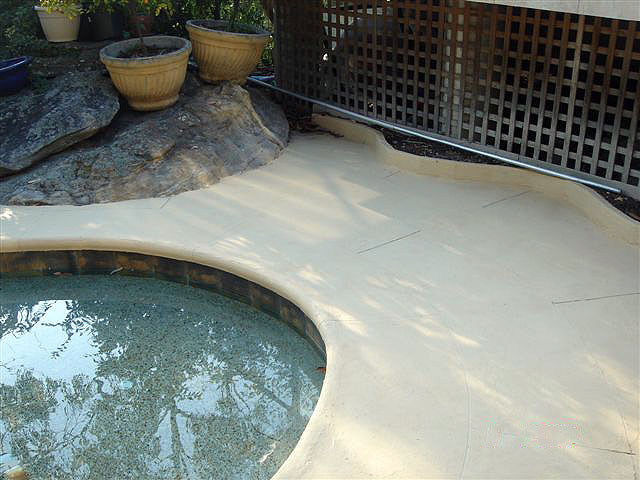 No matter which coating is to be applied, the surface preparation for existing pools will be the dominant factor for hassle free performance, in our lengthy experience. For new pools, it is still important, though application takes on a bigger roll. Any contractor who does not understand these issues, or does not follow well established procedures, will leave a brewing problem for your school to deal with. Any manufacturer should provide very comprehensive, easy to follow instructions, so that the surface is ready for the application. For existing pools the biggest issues are to do with removing all body fats and oil based contamination, (sun tan lotions etc). In addition ensuring the existing coating is well adhered, the underling surface is not “drummy” and the surface is dry, are important. Any contamination that remains on the surface will affect the adhesion of the new paint. Failure of the new paint within a short period can be expected. All coatings have specific criteria to be followed in regard to application techniques, mixing, dilution, weather conditions, and coverage rates. These need to be completely understood and followed carefully to ensure the best result. For most coatings, correct film build will determine the length of performance. The greater the film build the longer it will last. There is no free lunch, with this. Any coating requires the correct conditions for complete and successful application. Low temperature, high humidity, or sunny and windy conditions will impact on the correct curing. Generally a 4 – 7 day interval is needed before the pool is refilled. Follow the coating manufacturer’s instructions. 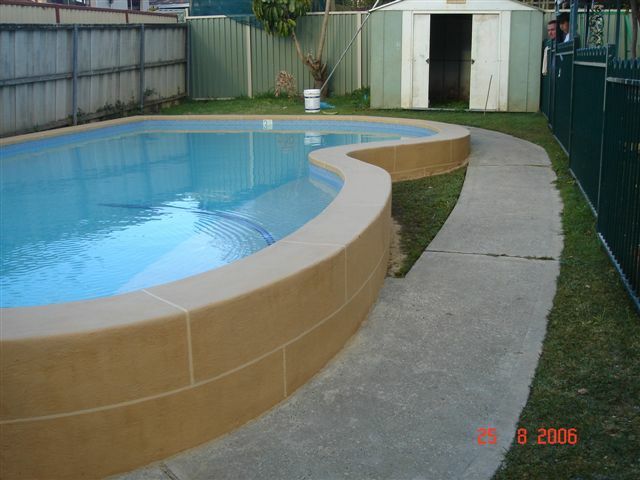 Each pool should be treated as an individual project as it will have its own characteristics. From design, construction, wear and tear, water treatment, usage profile, ground water / hydrostatic pressure, coating systems and future usage needs. 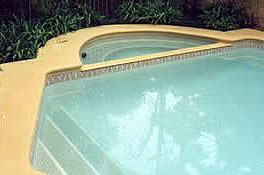 We would recommend, that for your pool, expert advice be sort if you have any doubts. Quotations from Approved Applicators, which detail the whole procedure, are recommended. The Manufacturer should have a lengthy track record with the products and be able to answer any technical questions, quickly and effectively. As the labour cost for surface preparation and applying each coating type is about the same, getting the longest life possible should be the aim. Certainly Epoxies have shown the best, most cost effective performance. A decade of maintenance free service is quite feasible with them. With school budgets stretched and unplanned maintenance un wanted, proven long term performance is mandatory. We at Hitchins Technologies Pty Ltd trust you have found this introduction useful. We have a 25 year plus record in pool coatings and you are welcome to make use of our knowledge, with out obligation.